If I Stay is a captivating novel about a seventeen year old girl named Mia who gets severely injured in a car accident that took her parents’ life. She and her brother are admitted into a hospital shortly after the crash. She experiences seeing her friends and relatives visit her in the hospital through a spirit-like form. Throughout the book, the question “should I stay?” hangs above her head as her loved ones come and go. I really liked the format the book was written in; not first person, but the way the author wrote it through the eyes of Mia herself watching her life pass by. I think that was a unique way of writing a first person point of view; I believe that it was the most effective way the book could have been written. I also enjoyed how the author wrote about Mia recalling her memories to help decide if she wanted to stay or not. The most memorable thing about the book, in my opinion, is when Adam, Mia’s boyfriend, makes her listen to music by her favorite cellist. It isn’t a huge plot twist or anything, but it is just one thing about the book that stuck in my mind after I finished it. Visit the main site for hours, locations, directions, online resources, and study room reservations. Select NoveList from our Online Databases page to find book lists, readalikes, and reviews. 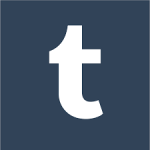 Follow HCPL TeenScene on tumblr to read reviews of new YA books by Henrico teens, submitted through our Read + Review program!